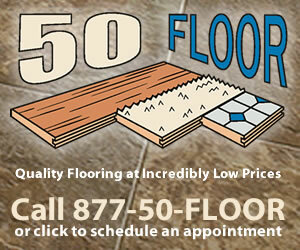 It has come to our attention that you have chosen not to purchase flooring from 50 Floor. While we understand this may not be the best time, please keep in mind that we will gladly hold your order for 60 days as first advised to you from the cancellation department. Thank you for first choosing 50 Floor and we look forward to hearing from you soon. as per my conversation and notification to Chris and Mr. Dana Mason this A.M., we will have to cancel our contract with you because of a sudden family emergency. we are sorry to have to do this and wanted to let you know as soon as possible. i would appreciate a confirmation of this via our email/post to our address. Review #1456043 is a subjective opinion of ConvincingJay.